Take your Formula D racers to Florida or speed through the streets of Chicago. Stretching over almost 6 kilometers, the Sebring track in Florida alternates between straight stretches, quick curves and slow and technical turns. Plotted over a former military training camp turned into an airfield, this track has been a staple in North-America since the 1930's. Each year, the 12 hours of Sebring take place there: an endurance race, whose slightly uneven course gives drivers the chance to test their mettle and their cars in the hot and dry Florida weather. 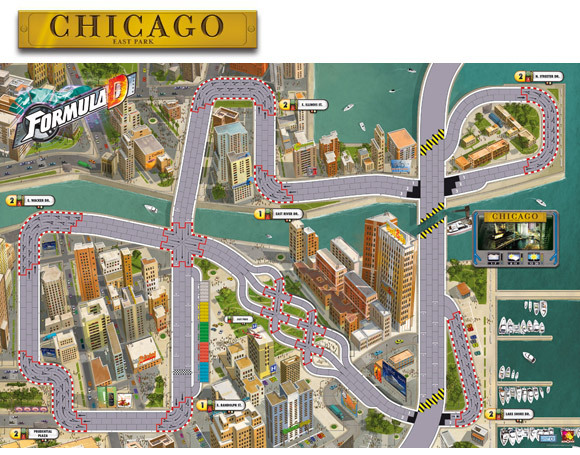 The second track of this expansion offers street-racing fans the chance to drive wild through the streets of East Park Chicago. This track offers an urban terrain alternating between curves and straightaways that will challenge even the most experienced Formula D drivers. This mad race in the heart of city traffic will give drivers a chance to drive along the impressive Aon Center, one of the tallest skyscrapers of the city; to dodge traffic in three tightly woven lanes of Lake Shore East; and to rush along the inner port before finally crossing two vertigo-inducing bridges. Sebring has a great map because there are some long straightaways that allow you to get out that sixth gear die and roll! Chicago is great because of the new elements it brings to the game (jumps, twists…) and the many turns. You will use up a lot of wear points trying to successfully navigate this track. 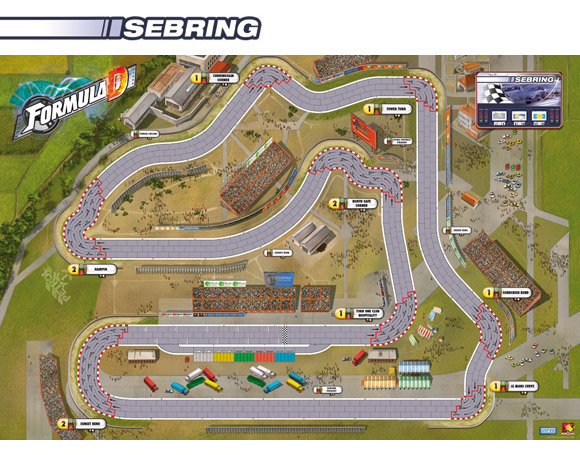 Sebring and Chicago is a great expansion. Buy it! 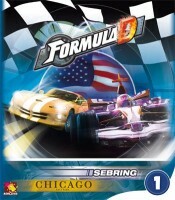 Add a Review for "Formula D: Sebring and Chicago East Park"